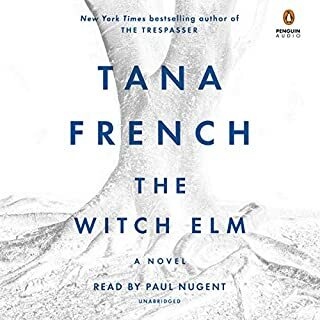 For listeners of Kate Atkinson and Tana French comes a pause-resisting literary mystery that brings to life the complex and wholly relatable Manon Bradshaw, a strong-willed detective assigned to a high-risk missing person case. Edith Hind - a beautiful graduate student at Cambridge University and daughter of the surgeon to the Royal Family - has been missing for nearly 24 hours. Her home offers few clues: a smattering of blood in the kitchen, her keys and phone left behind, the front door ajar but showing no signs of forced entry. Manon instantly knows that this case will be big - and that every second is crucial to finding Edith alive. The investigation starts with Edith's loved ones: her attentive boyfriend, her reserved best friend, her patrician parents. As the search widens and press coverage reaches a frenzied pitch, secrets begin to emerge about Edith's tangled love life and her erratic behavior leading up to her disappearance. With no clear leads, Manon summons every last bit of her skill and intuition to close the case, and what she discovers will have shocking consequences not just for Edith's family but for Manon herself. This is one of those books I couldn't put down, but didn't want it to end. I did read on Amazon that this author's next book is about this same character, which makes me feel a lot better - I don't want to say goodbye to her! I can't say enough good things about this book. The characters are real, and at times very funny. I laughed out loud a lot! They're also full of issues, longing, vulnerability, and they tend to kick themselves around a bit, especially the main character. The narration was superb. There are men's voices, women's voices, and children's voices, and everyone has a lovely British accent. With this book, the narration enhanced the story - which is often not the case with audiobooks. I haven't enjoyed narration so much since I finished "The Help" and "Angela's Ashes." This book is on a par with those written by Tana French and Robert Galbraith. I wait eagerly for their next books, and this author has been added to that list. What made the experience of listening to Missing, Presumed the most enjoyable? I loved this audiobook. The main characters make a great team. Each has his or her own story to tell. The mystery itself was multilayered and kept me interested to the end. The characters are vivid, fallible, human. I loved that these finely-drawn figures were so true-to-life. My favorite character is Manon Bradshaw, the spunky detective who leads the charge on the case of the missing Edith Hind. She is smart when it comes to police work, but touchingly less savvy in her love life, where she longs to find Mr. Right and leaps into the world of online dating to locate that one person who she can be herself with. Ultimately, does being herself lead to disaster or are the suitors lacking the special main ingredient? The book made me laugh out loud many times, especially at the escapades of Manon and her team. The mystery of the missing girl, with ties to royalty and a seemingly loyal family, loving boyfriend and doting best friend, is brought together by the author's fleshing out the mystery using multiple points of view and different character's stories. The dark humor running through the story is a delight. I liked this book so much that I bought it for my best friend, because she reminds me so much of Manon. Great, seamless and enjoyable narration. 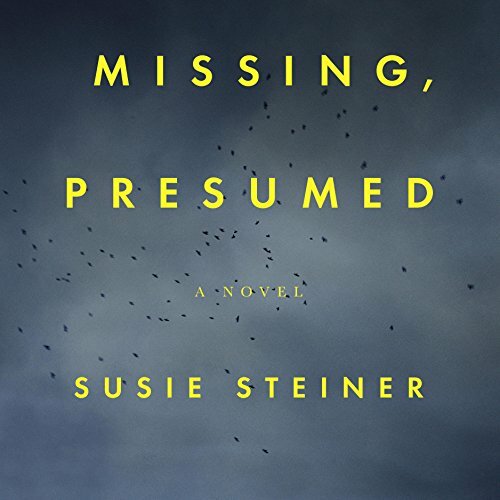 I highly recommend "Missing, Presumed." 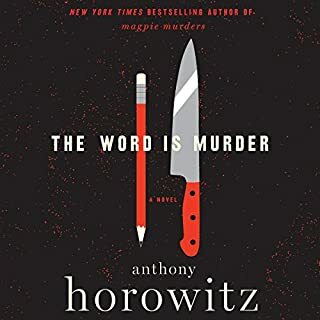 Smart, character-driven novel that is as much about the personal struggles of the investigators as it is about the investigation. The story is told from several viewpoints, and so allows us to see the characters as others see them, as well as hearing the inner views of each. Mannon, the central character, is faced with a career nightmare case involving the disappearance of the daughter of an aristocrat, while struggling through an almost Brigid Jones-like love life of loneliness and disappointment. The joy of this book is in the untangling of both puzzles, personal and professional. Neither is resolved as expected, but as in life, that's not necessarily a bad thing. Written with wit and compassion, and beautifully read with great skill and gusto, this is a great read. On the bright side-- it's an interesting story with a decent mystery development, characters one comes to care about, and an excellent verbal performance. The downside is that 9/10 of this book is about as thoroughly depressing as a book can be: loneliness, depression, isolation, abandonment, brokenness all described in intimate detail in between micro-steps in the plot. If you are the least bit depressed before starting the book, you may well be suicidal halfway through! That said, it all comes together in the end, isn't unexpected or jarring, and leaves you with a ray of sunshine breaking through the clouds. Just be forewarned it's a LOT of clouds! If you could sum up Missing, Presumed in three words, what would they be? What about Juanita McMahon’s performance did you like? Everything. She made characters distinct and injected humor and pathos into the story. I loved this book and would have given it 4.5 stars if I could have. It has an emotional mystery at its center and enough twists (most of them plausible) to keep a mystery-lover engaged. But more important than the mystery is the keen eye the author brings to the characters and how the mystery impacts their lives. This is largely character study and the characters feel real and human and flawed and interesting. Many mysteries concentrate on law enforcement, but often do not peak into their private lives - this one not only allows you to voyeuristically see how an investigation might impact the police detectives (and see them as humans off the job), but also offers a vantage point into the family and friends of one person gone missing and another murdered. I sincerely hope that Steiner writes more in this vein, especially with DSI Manon Bradshaw. There's a very little bit of mystery tucked in here and there, but for the most part this book is more of a character study. I found it interesting, but overlong and the reader didn't do the book any favors. This is a very long novel. 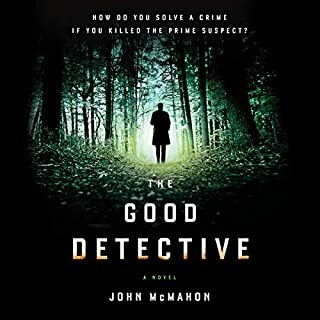 For a while, I found myself thinking that this was a police procedural--a very good one--and hoping it would become a series. Then about halfway through, it hit me that this is a novel, and doesn't need to follow any of the standard formulas for that kind of book, and indeed, after a point, it does not. It begins and ends within the pages of this book. All to the good of the story. 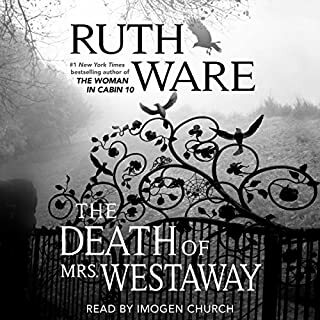 Read with excellent narration, this book explores the extremely complicated feelings and relationships in both (victim) Edith Hind's world, and that of the other characters, especially Manon Bradshaw, a police detective, as well. In especially the second half of the book, the author gives us touching insight into the tortured minds and feelings of friends and family waiting for news, as well as the police who are frantically working on solving the mystery. 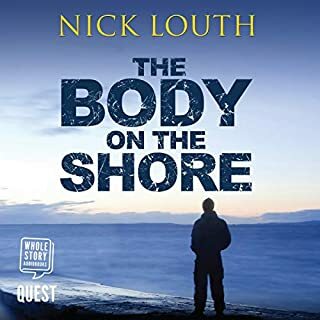 Since it is pointedly a novel and not a police procedural per se, it doesn't need to go down the expected paths one might expect it to take, but slowly brings the listener to the conclusion which hold some surprises. This is purely a matter of personal taste, but if I could have made one thing different, it would have been the style in which it is written. Though it moves from character to character, and one time frame to another, it is always written in the present tense style, so often used when giving a synopsis (as I am doing here) or the telling of a dream. I found it a little wearying to have that all the time. But as I said, that is just my taste, and I'm still giving 5 stars for a really good book and performance. This book held my attention throughout. The story was not completely riveting, but the narration was. In fact the narration transcended to superb acting. There is a scene towards the end of the book between two of the main characters that is one of the most memorable in any audio book I have heard. When you stop and realize that there is one narrator playing both parts in real time, it becomes even more impressive. This book, and it's sequel "Persons Unknown" are just solid, compelling listens. I accidentally read them in reverse order, but that was okay -- although I did have the inside info on how certain characters' lives would evolve. One of the best things about these books by Susie Steiner is Juanita McMahon's narration. She is superb, bringing you every character with a distinct, believable voice. Love these Brit detective inspector stories! Worth a credit, worth the time to listen! I picked this book for a book club I was running and had to finish it since I was running the discussion. I bought the physical book but struggled to get into it. I didn't care about the missing girl, didn't understand what the detective was doing to try to locate her and thought there was too much focus on personal lives and not enough about solving the mystery. 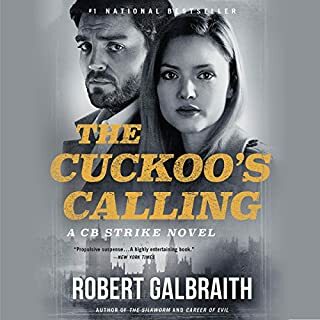 I hated the book so much, I realized the only way to get through it was by buying the audible version. I finished it through audible, but still can't recommend it to anyone.